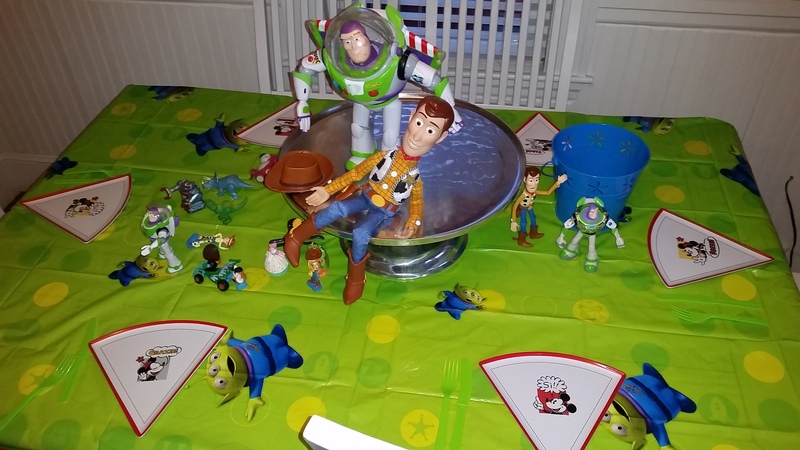 40 Years, 40 Disney Movies: Counting Down to Daddy’s Birthday Night 4 – Toy Story! Howdy and welcome to yet another installment of Daddy’s 40th Super Duper Movies and Fun insane-o-rama. This week we are moving into Pixar territory. As you all know, Pixar was a company formed in 1979 as part of Lucasfilm. And as you also know, Disney purchased Pixar in 2006 but they had made movies for Disney prior to this purchase. And as you probably also know, I just pulled this all off Wikipedia. So this week, we watched the first in a long string of pretty awesomepantz movies that Pixar has made with Disney. In fact, 8 of the movies on the list are Pixar features. And to be honest, I had a hard time leaving a couple off. Sorry, Brave and Bug’s Life. And my sincerest apologies, Toy Story 2. Shut up Cars, I owe you nothing. Yah, we literally just like…had this stuff lying around the house. The nice thing is that we DID still have some company over for the night. As per usual, Stephanie was not busy with anything else, so she came over. And we were also joined by Emily from next door. Who is awesome. That gun is literally ginormous. 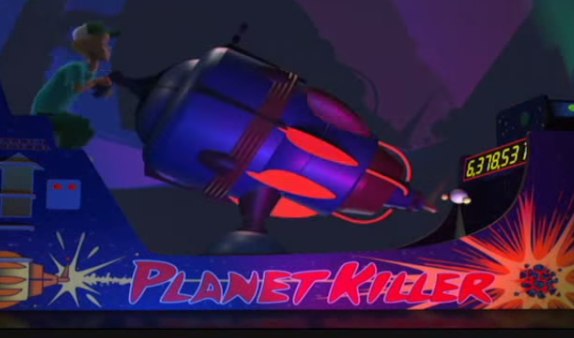 Also, Planet Killer? Heh. Get it? It’s like that movie. Spaceballs. This stuff could taste awful and I would STILL drink it. 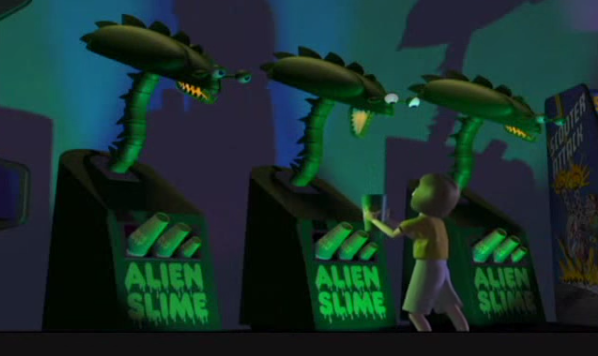 I mean, alien slime? YES. And yet. Still. People ordered delivery? Did no one else think that was weird? Who would get delivery from this place? I bet Sid’s parents got delivery. So erm, remember when I said we were short on time and you judged me? Yeah so for the activity the plan was for the kids to play with toys. Obvs. And I mean, I think they touched the toys once. But playing didn’t happen. Just know this was my intention. First, let’s get this out of the way. Toy Story changed EVERYTHING. The movie was the first full-length CG film released and it pretty much totally altered the path of animated movies going forward. Since its release in 1995, traditional animation has pretty much taken a backseat to computer animated movies. Is that a good thing? Hard to say. I mean, I will always have a place in my heart for traditional animation and my list of favorites is a shining example of that but I will say that using CG, Pixar has given us some of the best animated movies of all-time. No Cars 2, not you. But it’s not just about the animation, is it? Had Toy Story relied solely on the novelty of CG, I am sure the movie still would have been successful at the time. But the story and the characters have endured far beyond the 90’s. The last full-length entry in the series, Toy Story 3, remains my favorite Pixar movie to date and a new entry will be coming in over 20 years from the release of the original. So obviously, much like Brigitte Nielsen in Beverly Hills Cop 2, this thing has legs. There is just so much that works here. The overall idea is obviously great. I think we all have at least once imagined our toys as living things and imagined their lives beyond playtime. Does Skeletor grab drinks with Darth Vader after he’s done berating Beast Man at Snake Mountain? I could definitely imagine Optimus Prime giving my Pee Wee Herman doll a ride to the movies. Or maybe Stretch Armstrong and my Cabbage Patch Kid Koosa played a quick game of Mouse Trap before I woke up. WAIT…I didn’t have a Koosa. I meant..erm…GI Joe. Yeah, I TOTALLY didn’t have Cabbage Patch Kid anything. I ALL MAN, baby. Also, of course Bo Peep. I mean, what kid didn’t have a…Bo Peep? Remember those stolen moments of childhood playing with Bo Peep and her sheep? Seriously….what is WITH Bo Peep? But also…Sid. I mean, how awesomely terrible is Sid? The kid has an “I HEART Explosives” bumper sticker in his room and he mail-orders fireworks. I know Andy is supposed to be the kid we side with, but come on…every moment with Sid is gold. GOLD. Fingers crossed for a Megadork reunion tour soon. 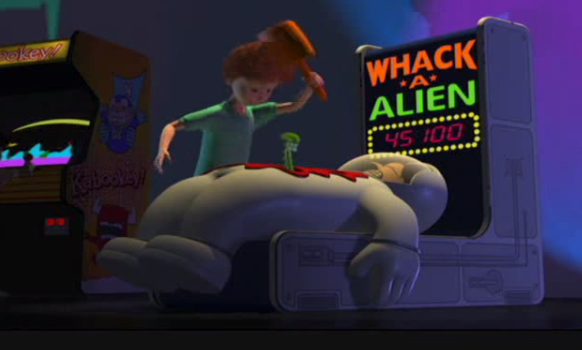 But what makes this movie one of my favorites is the dynamic between Woody and Buzz. They are like totez frenemies. So many different emotions on display here. Emotions we have all felt. Pride, jealousy, betrayal and ultimately from all of this, a great friendship is born. A friendship we now know to be one of the best committed to screen. This movie actually has gotten better in hindsight. Through the rest of the Toy Story installments, we have come to know that Buzz and Woody’s friendship has endured and has actually become the cornerstone of what holds all the other toys together. 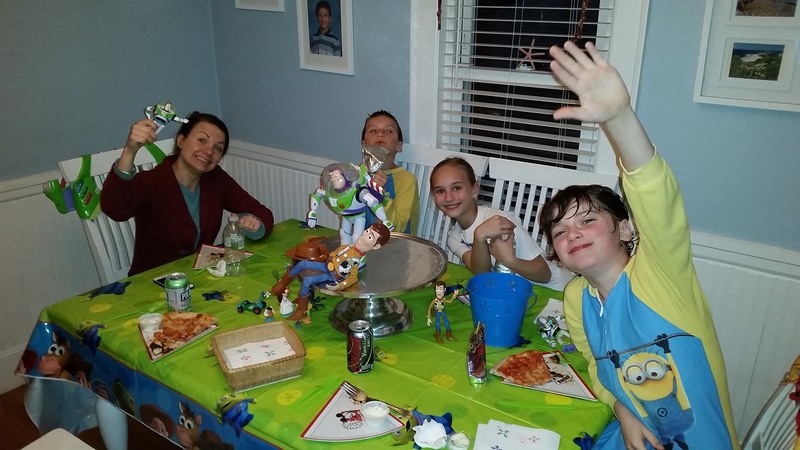 Toy Story, on its own, is relatively simple. It’s really through the sequels that we get deeper into these characters and I really fell in love with them. Which explains all the crying in part 3. That’s not to say that Toy Story can’t be enjoyed on its own. I mean, it’s on my list for a reason. It has some truly funny moments and some really great storytelling. 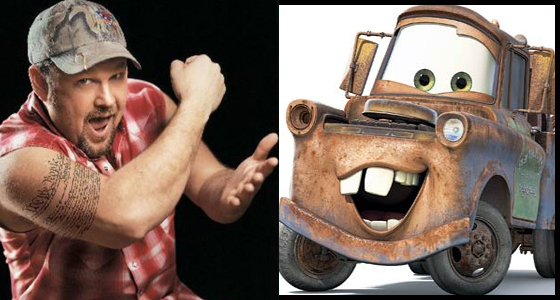 The depth that we have come to expect from Pixar, though, isn’t quite there yet. But there is one moment. Right near the end. That gives us a clue these Pixar movies are going to be more than just a cute story, likable characters and groundbreaking technology. At the end when Woody is under the milk crate and Buzz is staring out the window with the rocket taped to him. They both have hit bottom. 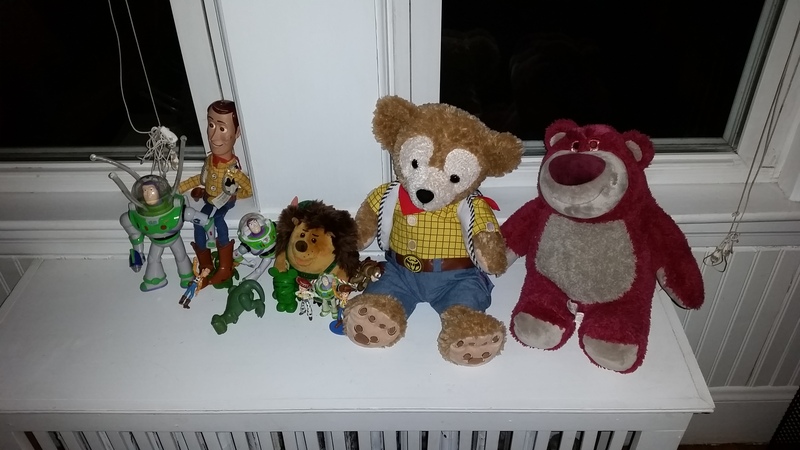 They share in their despair – Woody fully admits his feelings of insecurity and Buzz fully realizes he’s just a toy. But what brings them out of this? Their need to help the other. It’s a REALLY great moment. Woody’s explanation of what makes being a toy so special is really what saves Buzz. I mean, yeah he then executes a dramatic rescue but this moment is what enables Buzz to let go of being a space ranger and embrace who he is. And upon realizing this, Buzz then turns around and releases Woody – both from the milk crate and from his feeling of inadequacy as he informs Woody that Andy needs both of them. And that, my friends, is the beginning of a beautiful friendship. Previous post40 Years, 40 Disney Movies: Counting Down to Daddy’s Birthday Trip Night 3 – Bambi!